Hey hey, loyal blog readers! 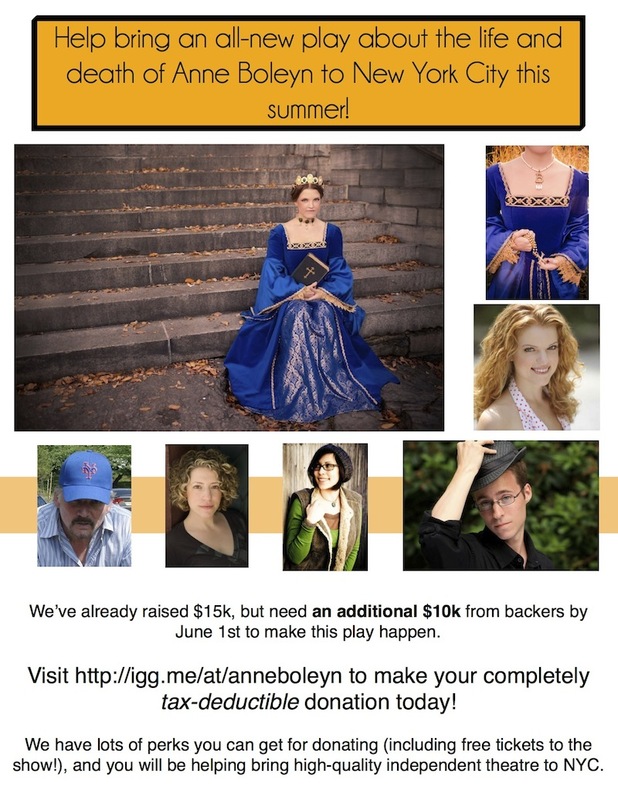 So if you’ve been following along on my Actor-Producer Chronicles adventure, you know that I’ve been working on The King’s Whore: The Anne Boleyn Story for over a year now. First, I thought about dipping my toes into the producing world, but worried about the money. 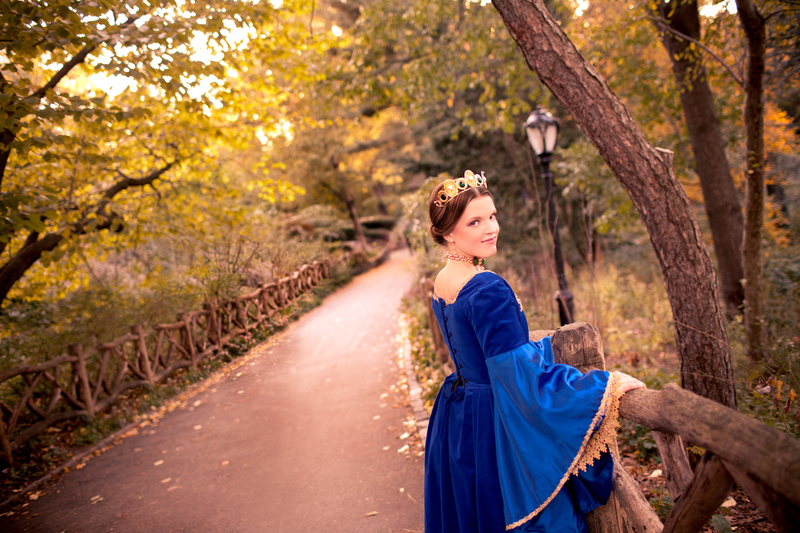 Then, I decided to go for it and a playwright friend wrote an original Anne Boleyn play for me to star in. I got the social media going, organized a promotional photo shoot, and started the ball really rolling. 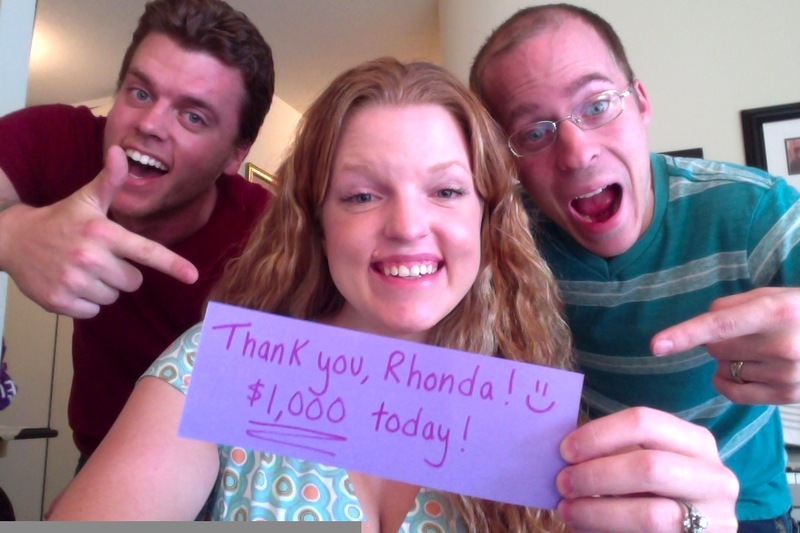 I started fundraising from private donors (and raised almost $15k! ), booked the space, and hired a seriously exciting Off-Broadway director. There’s a lot more left to do in the less than 3 months until we open, but things are seriously looking up for this production. We have some other incredible team members coming onboard that I can’t wait to share with you, and some really interesting ideas about where the production concept is going. This show is going to rock, yo. Here’s where you come in: We just launched our indiegogo campaign last week to raise the last $10,000 we need to bring this production to life. Producing theatre in NYC (and everywhere else, really) is even more expensive than I had dreamed before I became a producer. One of the things that I will take away from this experience (among many, many good lessons) is that the current model in which we produce theatre just doesn’t work without the generosity of arts supporters and lovers like you. Believe me, we are not spending extraneous money on this production for the sake of being showy. We have a careful budget, allocating money only where it’s absolutely necessary to make this exciting production vision come to life. So if the free resource of Green Room Blog that I’ve been running for years has inspired you in any way, or helped you learn a new tactic to get ahead in this crazy industry, maybe you’ll consider throwing a few bucks (or more!) 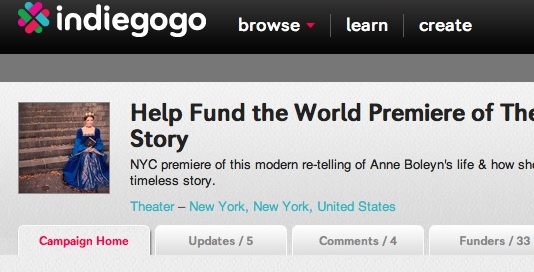 to our indiegogo campaign. We are already over 10% of the way there, but we have a long way to go. And I know we can get there with help from our Green Room Blog readers. Thank you all for being friends of Green Room Blog, and internet (and real life!) friends of mine.